What Is a Pre test driving lesson? A pretest driving lesson is designed to replicate the conditions that you will experience during the RSA Practical driving test. 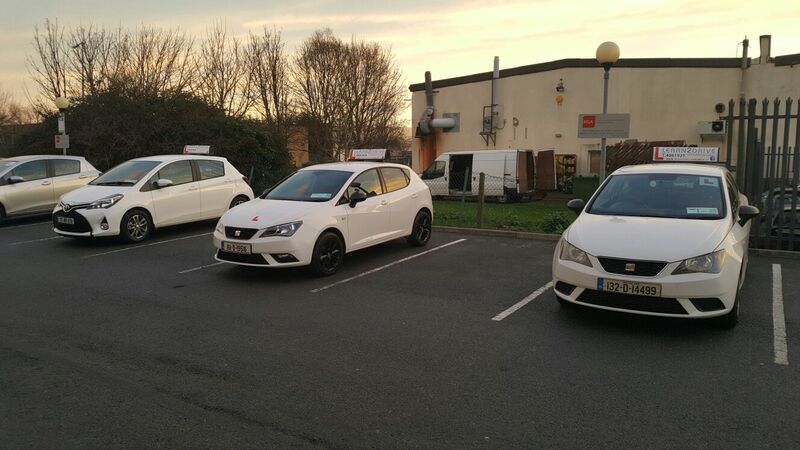 A learn2drive instructor will take you around the driving test routes on your chosen Dublin driving test centre location, that are often used by the RSA driving testers. The lesson will replicate and take you through all the requirements and driving test manoeuvres that you will be tested on during your driving test. Who can take a pretest driving lesson? Pre-test driving lessons are aimed at learner drivers with a valid learners permit, and a completed EDT logbook if required. A pre-test driving lesson is a must for any student who is serious about passing their practical driving test. Test preparation will make the day much less stressful and will increase your chances of passing your driving test. Any anxieties or nerves will be put at ease by your driving instructor on the day. What will I learn on the pre-test driving lessons? Book a Pre test driving lesson in Dublin and surrounding areas? Learn to Drive Dublin has been providing pre-test driving lessons in Dublin driving test centres for over 12 years, in that time we have had a huge success rate in getting students through their practical driving test. We cover all the RSA Driving test centres in Dublin, which include Tallaght Driving Test Centre, Finglas Driving Test Centre, and Raheny Driving Test Centre. We have a intimate knowledge of the Dublin driving test routes which you will be tested on. We pride ourselves on our 98% pass rate and reputation we have made for ourselves over the last 16 years.